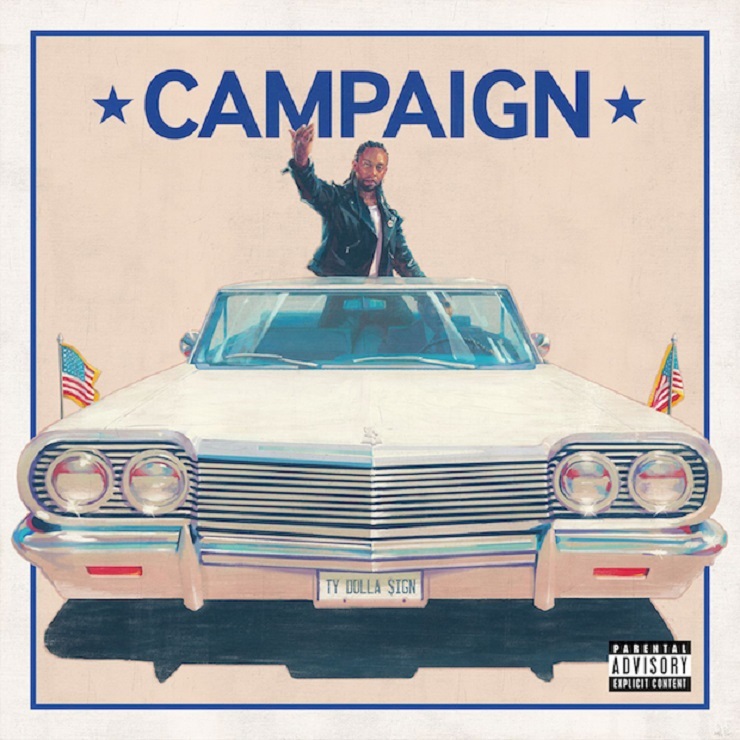 Ty Dolla $ign Details 'Campaign' Mixtape, Premieres "Zaddy"
Earlier in the summer, Ty Dolla $ign kicked off the promotional campaign for a mixtape quite literally called Campaign by streaming its title track. Now, he's offered up the full details behind his next release. You can officially rally behind his latest group of anthems on September 23 via Atlantic. The 16-song release follows Ty Dolla $ign's 2015 studio LP, Free TC, though this latest project is officially being billed as a mixtape. As could be expected, it features the recently released, Future-equipped title cut, which Ty Dolla $ign had explained was recorded by the pair on a tour bus earlier in 2016. He had told Zane Lowe at the time that he and Future had done "a couple songs," though "Campaign" is the only team-up between the two to appear on the release. To help promote the mixtape even further, the bass player/rapper has premiered its "Zaddy," which was produced by Jahaan Sweet, Frank Dukes and Ty Dolla $ign himself. You'll find a stream of the track below, along with the full tracklisting info for Campaign.